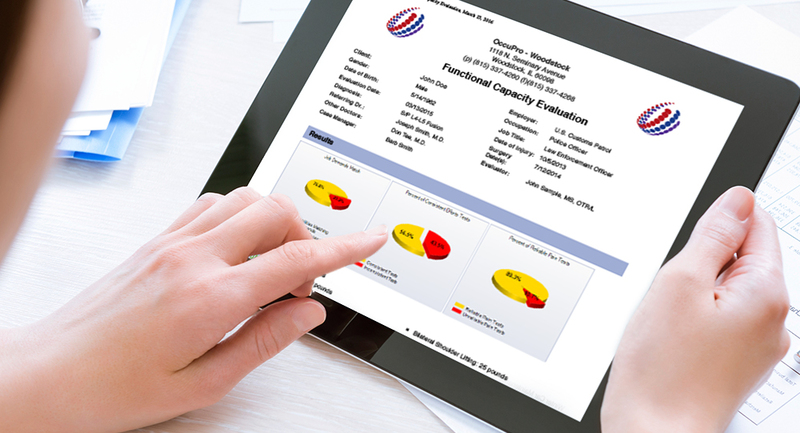 KENOSHA, Wis., October 8, 2018 – OccuPro, a company providing medical professionals and employers with the latest in functional capacity evaluation software and continuing education, is highlighting a 2018 publication titled “An evaluation of the inter-rater and intra-rater reliability of OccuPro’s functional capacity evaluation.” The publication is a review and evaluation of three separate studies conducted on injured and un-injured adults to evaluate the inter-rater and intra-rater reliability of OccuPro's Functional Capacity Evaluation (FCE) (upper extremity and material handling subtests). OccuPro’s FCE assesses work-based abilities along with whether a client is putting forth full/consistent effort and whether their pain reports are reliable. It determines how much of a job an injured employee can perform and can be used for disability purposes. OccuPro offers both a baseline FCE, which tests the overall physical demands of gainful employment, and a job-specific FCE, which compares functional abilities to the physical demands of a job. The three tests conducted were done to evaluate the FCE’s inter-rater and intra-rater reliability. The results noted in the publication, a joint collaboration of Concordia University of Wisconsin and OccuPro, indicated one study showed that OccuPro’s functional capacity evaluation four upper extremity subtests have moderate to excellent inter-rater reliability. A second and third study shows that the inter-rater reliability of subjects in the study were excellent and inter-reliability was moderate to good. The overall conclusion that can be drawn is that multiple therapists could use OccuPro's FCE system with the same patient or multiple patients and have confidence they will achieve consistent results and make sound return-to-work or residual functional capacity decisions.